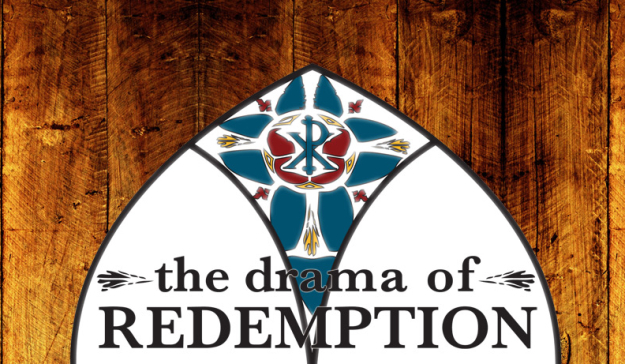 This sermon on “The Gift of Land” from The Drama of Redemption was preached by Robert Greene at Redemption Hill Church on Sunday, January 13, 2013. As the Israelites stood ready to enter the land, God’s main emphasis was upon The Book. Joshua had been by Moses side for years and had both heard and seen all that Moses had said and done. Yet, God did not tell Joshua to make every effort to remember all that Moses had done and said. Instead, God commanded that Joshua never let the Word depart from his mouth or mind. A commitment to God’s Word served Israel well. In all the changes and transitions with leaders, location and occupation, that which was continuous was the Word of God. It provided continuity of authority, an objective standard by which to judge everything and a clear expectation that God intended everyone to understand it when it was periodically read to them. Joshua 1:1-8 After the death of Moses the servant of the Lord, the Lord said to Joshua the son of Nun, Moses assistant, “Moses my servant is dead. Now therefore arise, go over this Jordan, you and all this people, into the land that I am giving to them, to the people of Israel. Every place that the sole of your foot will tread upon I have given to you, just as I promised to Moses. From the wilderness and this Lebanon as far as the great river, the river Euphrates, all the land of the Hittites to the Great Sea toward the going down of the sun shall be your territory. No man shall be able to stand before you all the days of your life. Just as I was with Moses, so I will be with you. I will not leave you or forsake you. Be strong and courageous, for you shall cause this people to inherit the land that I swore to their fathers to give them. Only be strong and very courageous, being careful to do according to all the law that Moses my servant commanded you. Do not turn from it to the right hand or to the left, that you may have good success wherever you go. This Book of the Law shall not depart from your mouth, but you shall meditate on it day and night, so that you may be careful to do according to all that is written in it. For then you will make your way prosperous, and then you will have good success. Don’t let God’s Word leave your mouth: study it, recite it and speak it. Don’t let God’s Word leave your mind: meditate on it continually. Don’t assume you are wiser than God’s Word: obey it, practice it and surrender to it. What Do We Learn About God’s Power? Not only did the people still have the Word of God to direct them, they had the Power of God acting for them. It was a power that was both personal and present. How is Joshua’s experience in the two texts above similar to Moses? What is the significance of Joshua’s encounter with God given that he was a soldier and had been prepared all his life for battles? Who is going to do the fighting and will get the glory when the battle is won? What could have happened if Joshua had not had this experience? God’s mission has never changed. He has had a plan for this earth from the beginning. He put His royal image (Adam and Eve) in the place He had created for His glory to dwell and gave His first two image bearers a job. They were to expand the borders of that garden so that His glory would cover the earth; but Adam and Eve sinned and failed in their mission. Yet, that mission has never left the Bible, has never been changed and has never been revoked from successive image bearers (humans). God has ordained the means to accomplish His purposes. He will declare His supremacy by equipping His image bearers to engage His mission. The mission of the church is at the heart of what it means to be a Christian. God has always planned for His people to be a living demonstration and reflection of His glory. They were (and are) to be a visible declaration that He is the One True God. This is what it means to be The Church. It is why Redemption Hill is in this city. The power of God hasn’t left us. Just as the Holy Spirit empowered Jesus in His life on this earth and raised Him from the dead. This same spirit who hovered over the darkness of the deep in creation, when you place your faith in the person and work of Christ, takes up residence in you. The Spirit always has and always will move against the darkness. He equips and empowers God’s people to accomplish all of God’s purposes. The power that parted the Red Sea & the Jordan flows today. The same power is available to the people of God today. He gives power to obey, to change desires and He gives new hearts. The One who stood face to face with Joshua in the wilderness, as the captain of God’s army, is the same man we know from His life on earth as Jesus Christ. He came to this earth and did what mankind could not do. He lived a perfect life of obedience to God’s Word. Empowered by God’s Spirit, He reflected the glory of God to a watching world by being the perfect image of God. He did this in your place and then died on the cross to pay the price for your sins. Just as Joshua was told that the Lord would go ahead of Him, and he saw God defeat enemies on his behalf, Jesus has already gone to battle and dealt with our enemies on our behalf. Heb. 2:14-15 “that through death he might destroy the one who has the power of death, that is, the devil, and deliver all those who through fear of death were subject to lifelong slavery. For those who place their faith in Him, His victory becomes their victory. The One who was with Joshua and went ahead of Joshua has promised that He will be with us always. Matthew 28:20 “And behold, I am with you always, to the end of the age. When Joshua saw Him, he fell to his face in worship; he asked “what have you to say to your servant?” The Lord told Joshua to recognize His holiness and respond in humility. If we are to know the power of this Leader, who is present among us, we must respond in humility. We must repent and trust in the person at the burning bush. The great I AM, captain of the Lord’s army, our Savior and Lord, Jesus Christ. Remember that He said “Be strong and courageous” for He has called us to a great mission. He has given us His Word and promises. He has given us His power and presence. He is still with us.